If you are interested in purple martins and have determined that your yard or location is a suitable habitat for purple martins, the next step is choosing what kind of purple martin bird house you want to provide for these wonderful purple birds. There are many different types of martin house out there and what may be the best choice for one person may not be the best choice for you. There are several factors to consider when deciding what kind of purple martin bird house you want to buy or make. Martin houses can be a substantial investment. Even a cheap plastic purple martin bird house can cost well over a hundred dollars once you factor in the specialized pole the martin house needs to be mounted on. Just remember that you generally get what you pay for and the martin house may look great for that first year but I can guarantee that in a year or two that martin house will not look so spiffy. If you are the handy type and can make your own purple martin bird house. 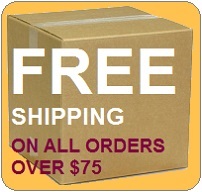 Here at PurpleMartinPlace.com and PurpleMartins-R-Us.com we have a great collection of FREE purple martin bird house plans that you can download at NO Charge. You can make a martin house out of wood (rough hewn) like cedar or other hard wood. Most people seal the martin house exterior with several coats of white exterior paint. Some even use a sealant type elastomeric paint to help keep the water from damaging the wood. Painting the houses white is the general rule, which keeps the interior of the house cooler. Be forewarned that making your own martin house does not mean you will save money. Once you factor in the cost of lumber and supplies, you will have spent about the same. Never even mind the cost of your time. So if your dilemma is, "what kind of purple martin bird house should I get?" then read on. There are several materials used to make commercial purple martin bird houses. Aluminum, wood, and plastic. Read our article what you will need to host purple martins to get all the pros and cons of each material. Wood martin houses can get very expensive due to the weight involved and shipping costs. The wooden T14 house is available already assembled (pole & winch included) Or the Cedar Suite comes as a ready to assemble kit which includes all lumber (precut), hardware, pole and winch. For the most part aluminum purple martin houses are very attractive to landlords for a number of reasons. They are easy to clean and maintain. They come in a wide assortment of styles. They do not decay like a wooden house can. But if you live in the Northern states be aware of the early spring snow storms that can occur when the purple martins have already begun to arrive. Aluminum houses do not retain heat and thus may not be as attractive to these early arriving purple martins. You will undoubtedly see plastic purple martin houses at your local hardware or home improvement store. They are inexpensive and can be a great way to get started but many people get disenchanted with the drawbacks of plastic martin houses. Similar to Aluminum, in that they are lightweight, plastic purple martin houses however always need to be assembled and no matter what you will hear from some, the plastics are relatively thin and have a tendency to become somewhat translucent over time. This can increase the temperatures inside the nest, much like a greenhouse. This can lead to early fledging of the young martins. Meaning the babies will leave the nest too early, unable to tolerate the heat and may die. Expensive due to the cost to ship a large heavy house. Need yearly maintenance and painting to prevent wood rot. Very heavy, you must have a winch system to lift and lower these houses. Purple martins don't have to live in a martin house. Gourds also make a great choice and purple martins seem to love them. Natural or plastic, purple martin gourds offer a wide variety of hanging options. Though natural gourds are very cheap, they do require some preparation and care to keep the gourd from molding and rotting. Plastic gourds are very easy to care for, easy to clean and offer the latest innovations in housing purple martins including starling resistant entrances, access ports ( to view young and for cleaning out) just to name a few. But beware of some of the cheap plastic gourds that you will find at the hardware or home improvement stores. These gourds can be very thin and also become translucent over time, or without access ports, be very hard to clean. All the gourds that we sell on this website are of a very thick plastic that will not degrade in the sun. They will definitely last a lifetime. We at PurpleMartinPlace.com want you to know that whatever type of purple martin bird house you decide on, we want you to be successful. We are NOT a generic pet or bird website selling a product we are not familiar with. We are a small business and have our own colony of purple martins that return every year. Many of the products we sell we use in our own colony. 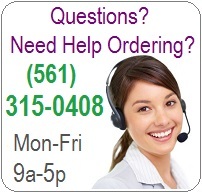 If you have questions about any of the items we sell, please email or call us and we will be happy to assist you.